Nintendo has revealed that some significant functionality is coming to Zelda: Breath of the Wild and Super Mario Odyssey. Both games will be updated to support the Nintendo Labo VR Kit with the Toy-Con VR Goggles, the company announced. 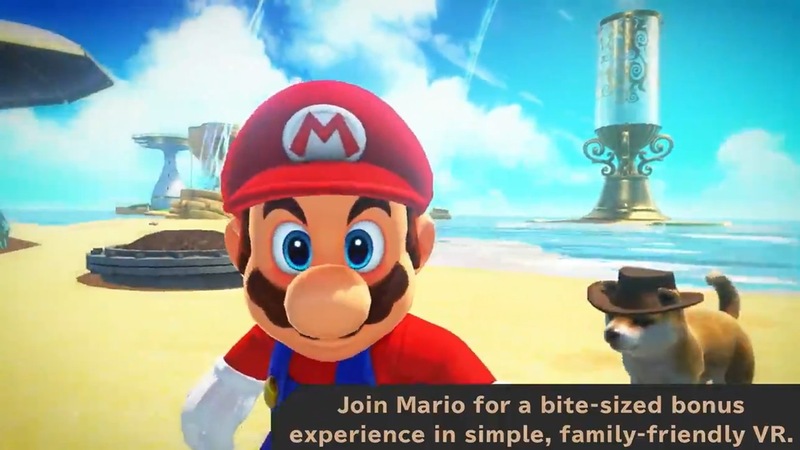 For Mario Odyssey, Nintendo is implementing “a bit-sized bonus experience”. Three mini missions will have players collecting music notes and Coins in the Cap, Seaside, and Luncheon Kingdoms. As for Zelda: Breath of the Wild, Nintendo is allowing users to view the world in a different way. This can be enabled by toggling a setting in the menu. Both games will be updated alongside Nintendo Labo VR Kit’s launch on April 25. View a trailer below.